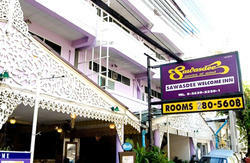 D.box hostel is a new and comfortable hostel located in the heart of Bangkok's largest fashion and shopping district. We provide cosy capsules to ensure our guest's comfortable stay. The hostel provide pods for single guest and a larger pod for two guests. 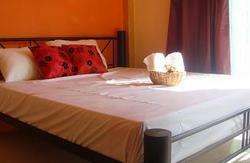 We have both mixed dormitory room and female dormitory room of 8, 10 and 14 guests per room. Our boxes designed to ensure our guests comfort. These boxes consist of backlight for reading, personal electronic socket, towel hanger, private curtain, a clean and comfortable bed. The dormitory room provide guests with a comfortable level of privacy while enable you to interact with other guests. The boxes have a connecting sliding door to connect between each different boxes.